To have a claim, you must have been injured. The injury may be physical or emotional. In addition, your injury must have been caused by someone else (the defendant). Lawyers and judges use the term “negligence” to describe the fault of a defendant. What we are talking about is: Who is at fault, or Who is responsible for causing your injury. If you are unsure about whether you have a case, contact us for a free consultation with a personal injury attorney. 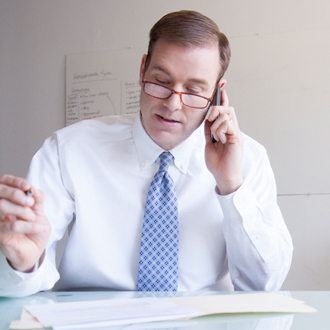 How do I know if I need a Missouri or Illinois Personal Injury Attorney or Lawyer? If you needed expert medical attention, you likely need expert legal representation. If you have been seriously injured or are unsure as to the outcome of your injury, then an experienced personal injury lawyer should always be consulted before you give any statements or sign any papers of any kind and as soon after your injury as possible. If you have been seriously injured, you will benefit by hiring a Missouri or Illinois Personal Injury Attorney. We offer a free consultation, with no obligation. You have nothing to lose by calling us: 314.421.4441. Why do I need a “Personal Injury Trial Lawyer? We only handle personal injury cases, and we know the value of your case. As experienced trial lawyers, we provide a credible threat to the defendant’s insurance company, that if we do not receive a favorable settlement for you, we will bring your case before a jury. Our opposition knows this. We receive favorable settlements for our clients because we provide the credible threat that only an experienced, successful personal injury trial lawyer can. What financial compensation can I get in a personal injury claim? What if the auto accident is partly my fault, do I still have a claim? Yes. Even if an accident or injury was partially your fault you still have a claim. Lawyers and judges use the term “Comparative Fault.” In Missouri, the fault of all parties is compared, and the amount of your recovery is reduced by the percentage of your own fault. In this way, each person is held accountable only for the percentage of their respective fault for the accident. But even if you are mostly at fault for an injury or accident, you still have a claim. Every state has certain time limits for certain types of claims. These “statutes of limitations” require you to file suit within a specific period of time, depending upon the circumstances of your case, or else you will be prohibited from obtaining any compensation for your injuries. It is always better to act sooner, so that your claim and your chance at recovery do not expire. A contingency fee benefits you. Most Missouri and Illinois personal injury lawyers use this arrangement. It is “contingent” in that you do not pay ANY fee or expenses unless we successfully recover for you. You do not pay any up-front fees or expenses. Only at the conclusion of a successful case, and from the client’s award, we collect our fee and expenses. If I have a personal injury claim do I have to go to court? No. Most personal injury cases are settled out of court by the insurance companies and their attorneys. But if a case does go to trial, you most likely will have to appear so that your testimony can be heard. Each case is different. It depends on the circumstances and complexity of the case, your injury, and the willingness of the opposing party to act reasonably. Many auto cases can settle within 1 to 6 months from the date of the accident. Many medical malpractice cases or wrongful death cases can take anywhere from 3 to 30 months to resolve depending on its complexity.